So there you are, sporting a non-working Apple iPhone 6 Plus that by one reason or another, qualifies for a replacement unit through Apple. Well, we are here to give you a little bit of good news. An internal Apple memo, sent to Apple Authorized Service Providers, says that from now through the end of March, "orders for whole unit service inventory of some iPhone 6 Plus models may be substituted to an Apple iPhone 6s Plus." In plain English, it means that if you are due a complete replacement of your iPhone 6 Plus, you might just luck into an iPhone 6s Plus instead. An older internal document revealed that Apple no longer produces the iPhone 6 and iPhone 6 Plus, which also means that those taking advantage of Apple's $29 battery replacement for the pair are having a hard time finding an Apple Store or authorized repair center with the proper cell in stock. Just the other day, we told you about two different CNBC reporters who were unable to replace the battery on their iPhone 6 because both an Apple Store and a Best Buy location, both in New York City, were out of stock. The Apple Store on 14th Street expects to replenish its inventory in two weeks. With the heavy demand for iPhone 6 and iPhone 6 Plus batteries, Apple has probably run through much of its remaining inventory of those phones. Restarting production to meet demand for replacement units and batteries might take some time. Keep in mind that if your iPhone is getting a batter replacement, that alone doesn't qualify you for a whole new replacement unit. To be eligible for a whole device replacement, your handset needs to have suffered damage to its motherboard, Lightning connector, or a component not easily replaceable. And even if you have been given the green light to turn in your Apple iPhone 6 Plus for a replacement, it doesn't guarantee that you will be receiving an iPhone 6s Plus instead. There are major difference between the iPhone 6s and iPhone 6s Plus. The older model is powered by the Apple A8 with a 64-bit dual-core CPU running at a clock speed of 1.4GHz and includes the PowerVR GX6450 GPU. 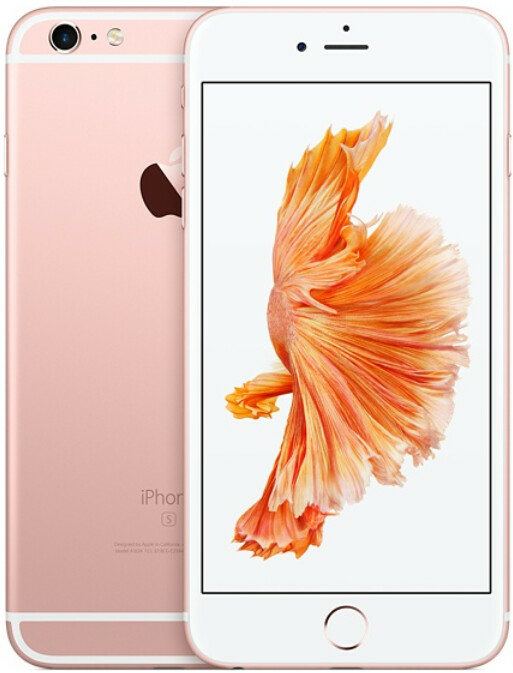 The iPhone 6s Plus features the A9 SoC with a 64-bit dual-core 1.84GHz CPU, and the PowerVR GT7600 GPU. In addition, the iPhone 6s Plus doubles the amount of RAM found in the older model, to 2GB. And the camera on that unit comes with a nice upgrade to 12MP on back and 5MP in front from the prior year's 8MP and 1.5MP, respectively. They should just replace all 6 & 6s models with 8. Dude, what are you smoking? That's some beggar logic you got there. Just through March? It should be through the entire year. Don't let this distract you from that fact, that Al Bundy once scored 4 touchdowns in one game, while playing for Polk High. Actually the 6s series are good phones but maybe they should replace with something newer. You do have a head phone jack at least.